100% of donated funds go directly to furthering this mission and are tax deductible in the United States. Specifically we will provide veterinary care, food, shelter, and in the best cases even a forever home to help these animals off the streets. We also try to spay/neuter as many dogs and cats as possible to humanely control their population. Within 4 years one unsterilized female dog who has 2 female unsterilized puppies can result in over 300 dogs within 4 years. In that same time period, one unsterilized female cat who has 3 litters can produce almost 11,000 offspring. These numbers grow exponentially year over year after that. ARF works completely through volunteer efforts and with donated funds. In 2016 ARF spent upwards of 135,000 AWG helping over 220 homeless animals with veterinary care, food, boarding and supplies. Thankfully the countless volunteer hours are free. Every donation helps us fulfill our mission. Your support of our cause is greatly appreciated! Thank you. Kathy has been visiting the Island of Aruba for over twenty years. She built a house here several years ago and has since “retired” and lives on the island full time. Kathy is instrumental in making everything happen from feeding stray dogs to managing every aspect of our rescue and foster care program. She also is tireless in her efforts to bring the animals to the Aruba veterinarians for treatment and securing forever homes for the lucky adopted ones. Kathy can often be found at the airport in Aruba seeing off dogs, puppies, cats and kittens on their way to their new homes in the United States. We met Cathy on the beach a few years ago in Aruba. 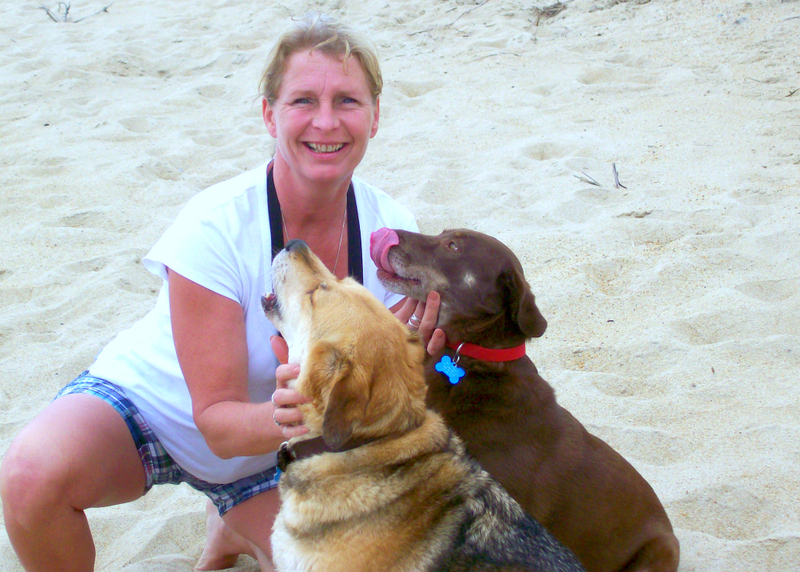 She was concerned about a female dog that was pregnant and hungry wandering the beach. She called us for help. When we arrived, Cathy was feeding and petting the dog with tears in her eyes. She asked for our help and we took the dog to the veterinarian where she received care and delivered her pups a few weeks later. Cathy came back to the island specifically to adopt this same dog, now named Oxi. She and her family have since adopted three homeless dogs from Aruba. Cathy has been, and continues to be, instrumental in raising funds and helping us find homes for these special animals. 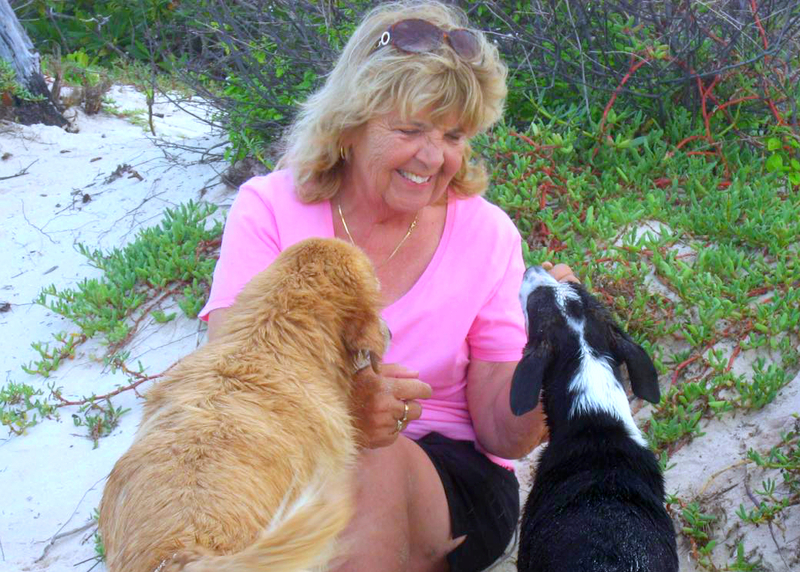 On her first visit to Aruba over 8 years ago Renée found the stray animal situation so upsetting that she knew she had to do whatever possible to help improve the conditions. On her second trip to Aruba she adopted a kitten, Bee, from the Aruba Kitten Rescue. Bee has made a wonderful addition to the Brock menagerie of dogs and other cats. 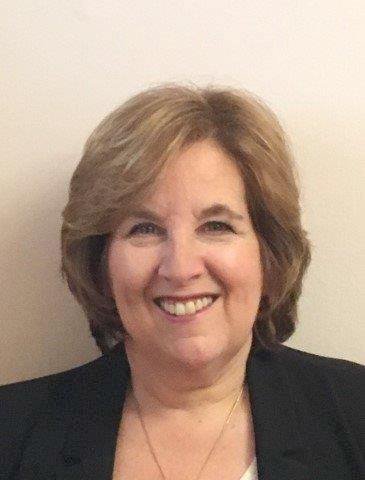 Renée has used her skills as an attorney to help ARF-Aruba in its legal and administrative tasks, including incorporation and obtaining the IRS 501(c)(3) non-profit designation making all donations made by US persons tax deductible. She also enjoys assisting Kathy however she can during her semi-annual visits to the Island, especially playing with the puppies waiting for their forever homes. In addition to Bee, Renee and her husband, Mark, currently have two Aruba dogs, Darby and Joy, as well as another dog, Bear, and three formerly feral cats.